In this unit, we will be looking at user setup and first glance of the Studio. We will go ahead and create a user, assign the proper rights and will see the overview of the Studio. Before creating a user, we will discuss user roles. Most of the case Developer and studio administrator both are same person. In functional wise, Developer and studio administrator have an access to Partner Development work center in SAP Business ByDesign. But Business user does not have an access to Partner Development work center. Note: In SAP Terms, Menus are called as Work Centers and Menu Items are called as Work center views. How do create users in SAP Business ByDesign? 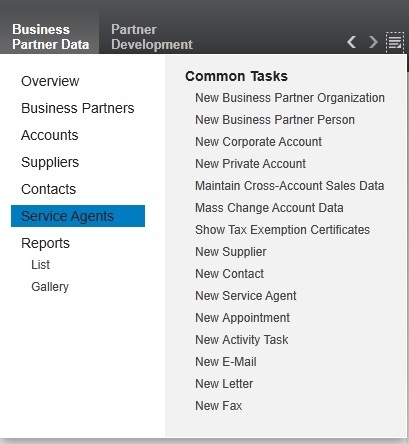 Go to Business Partner Data -> Service Agents. Now you can see all available User details. Click New->Service Agent. Now New Agent Screen will open. Then click Request User Button on your top of the screen. 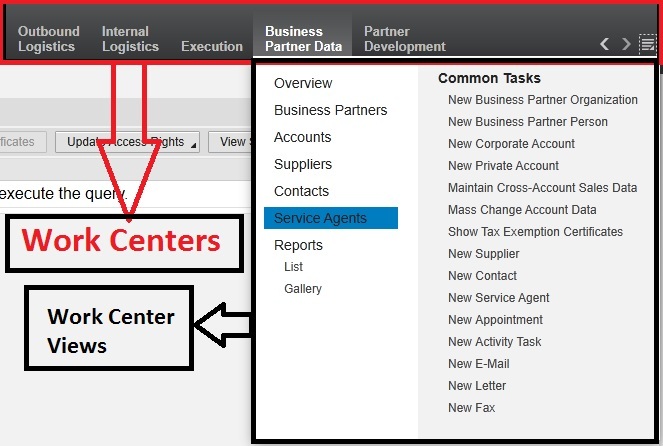 If you’re an administrator or studio developer, you should assign partner development work center. Others leave that box unchecked. Note: The person should then log in with their new user to change their initial password and maintain their contact details. a. A “My Solutions” panel shows all of the solutions that are there in that specific tenant and this really means all solutions. b. So if I create a solution with my user, anybody else who logs into this tenant will also be able to see that solution and be able to develop in that solution. c. Double click the specific solution or create your own solution (Administrator can create new solution). And then you can see our kind of development area. a. Here you can see your business objects, scripts, details about web services and so on. a. This will show us the properties of file, when and who created it, when and who checked out last etc. b. We are also having Toolbar in Properties window. we are going to use a few things from the toolbar when it comes to debugging and lifecycle management. a. this shows the errors or warnings in coding. It will notify in which file you have the error and even it will lead you to exact line number. a. This shows information about standard content that is available in the Studio. b. It shows what are the business objects are available. If you click any one , you can get the detailed view and structure of BO. It shows extendibility view of UIs. 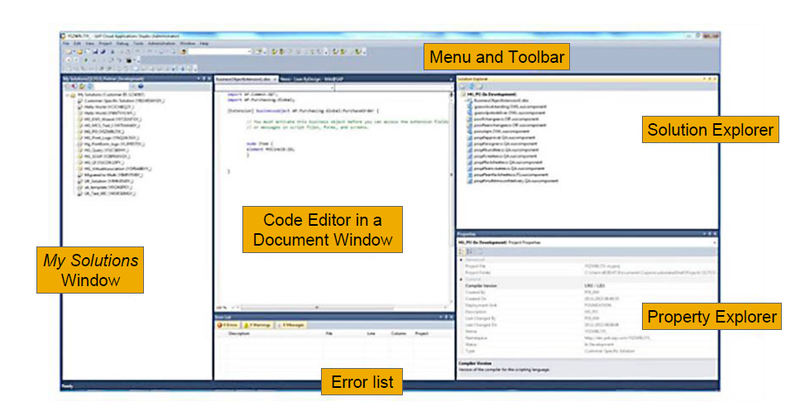 c. You can access your Repository Explorer by view-> Repository Explorer in the SAP cloud application studio. a. Whatever you code in any script file, will not be reflected in your screens unless if you have saved and activated. You can find the save and activate icon in the menu or simply press Alt+A. Since it is basics, I just scrapped the hefty content. In future we will have a deep dive in SAP Business ByDesign. Upcoming article: How to get help from sap, how to raise an incident, how to face dump error.